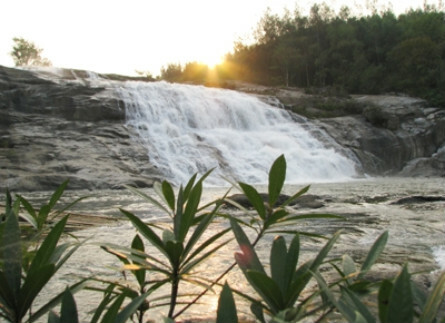 Central Nghe An Province boasts a stunning waterfall which is expected to lure lots of visitors and become a major tourist attraction. Located in Tien Phong Commune in the mountainous Que Phong District, Nghe An Province, Sao Va Waterfall features breathtaking falls which stretch seemingly forever. The falls run around winding hills and mountains and create silvery-white streams. Local authorities are planning to turn Sao Va into a tourist destination with a bird garden, an orchid garden, a stone park, and a model craft village to attract more visitors to the region.